A high quality feed supplement specially designed to offer support to horses and ponies prone to gut upsets when grazing on sandy and dry pasture. A powerful and high specification supplement, NAF Sand Gard discourages negative effects of grazing on dehydrated and sandy pastures. Psyllium seeds, Brewers' yeast, Marshmallow leaves, Bitter orange peel (ripe), Rosehip shells, Omicha berries, Turmeric, Dandelion leaves, Milk thistle seeds, Gingko leaves, Ginger, Blueberries, Rosemary, Licorice,White mineral oil, Fructo-oligosaccharides, Wheat protein. Feed as a 7 day course. Repeat every six weeks for susceptible individuals. 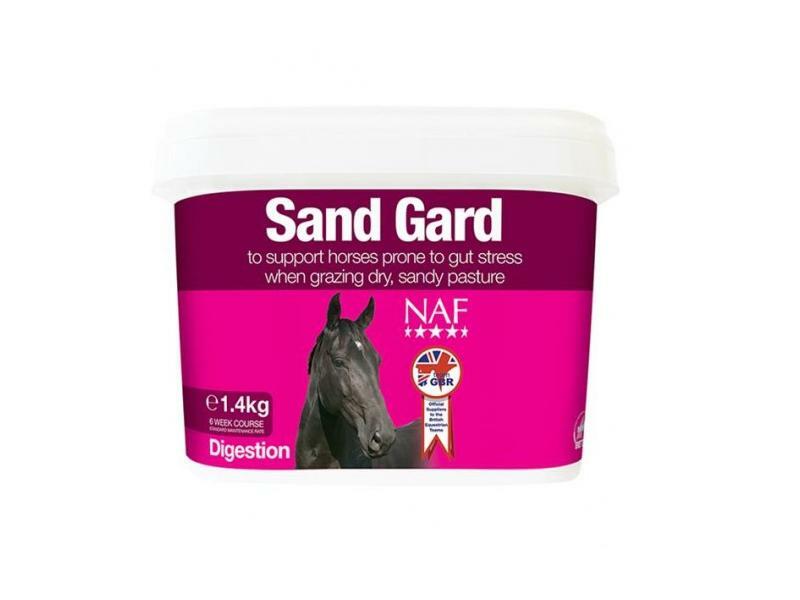 There are currently no questions for NAF Sand Gard for Horses - be the first to ask one!